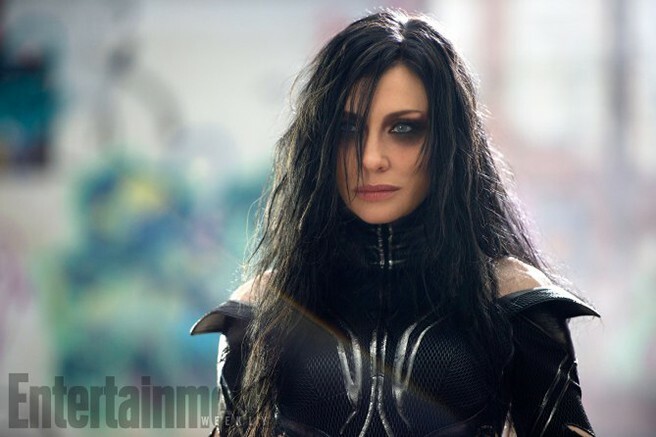 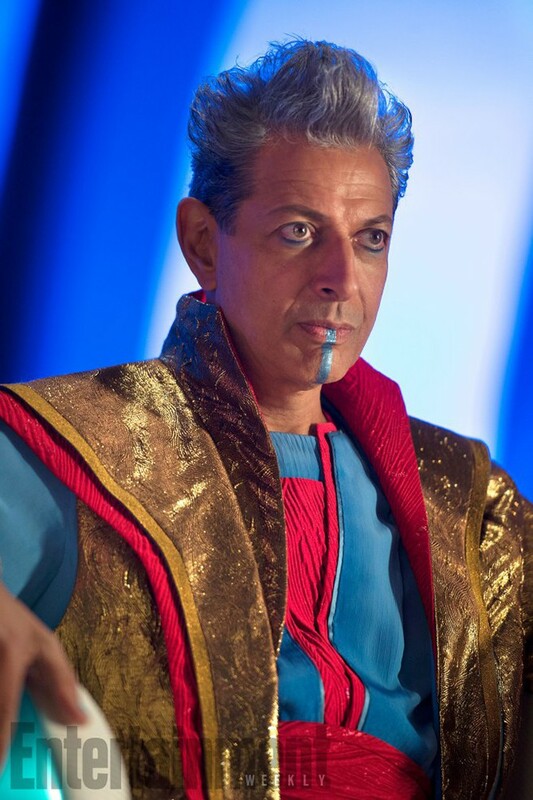 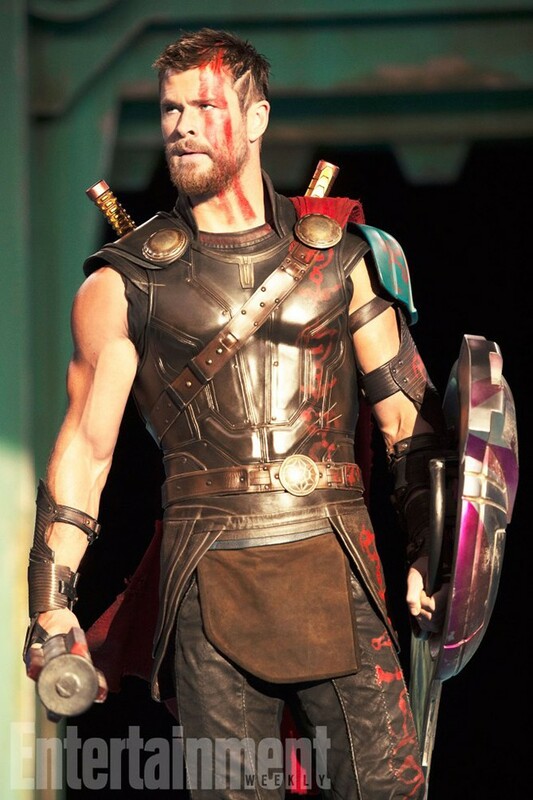 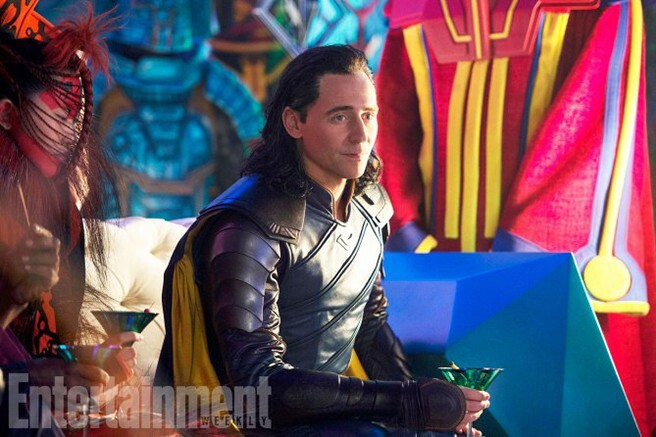 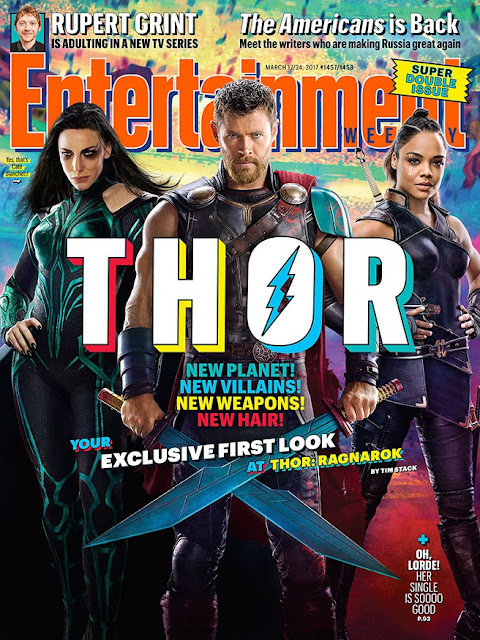 Entertainment Weekly has unleashed a bevy of images from THOR: RAGNAROK, the third THOR film, directed by Taika Waititi (FLIGHT OF THE CONCHORDS, SEARCH FOR THE WILDERPEOPLE). On the cover - we see HELA (an almost unrecognizable Cate Blanchett), THOR (a close cropped Chris Hemsworth weilding double blades rather than his famed Mjolnir) and VALKYRIE (Tessa Thompson without the traditional comic armor). 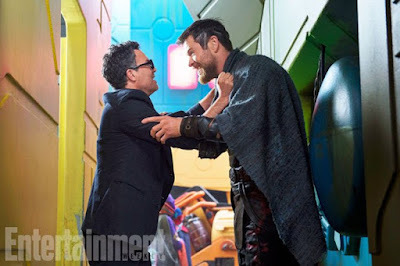 Check out all 10 of EW's THOR: RAGNAROK photos here!